Decorate your home with this superb watercolour sticker depicting the eiffel tower in all its glory! Perfect living room decor for those who love the glorious french monument and wish to pay tribute to it in that ever so slightly unique way! 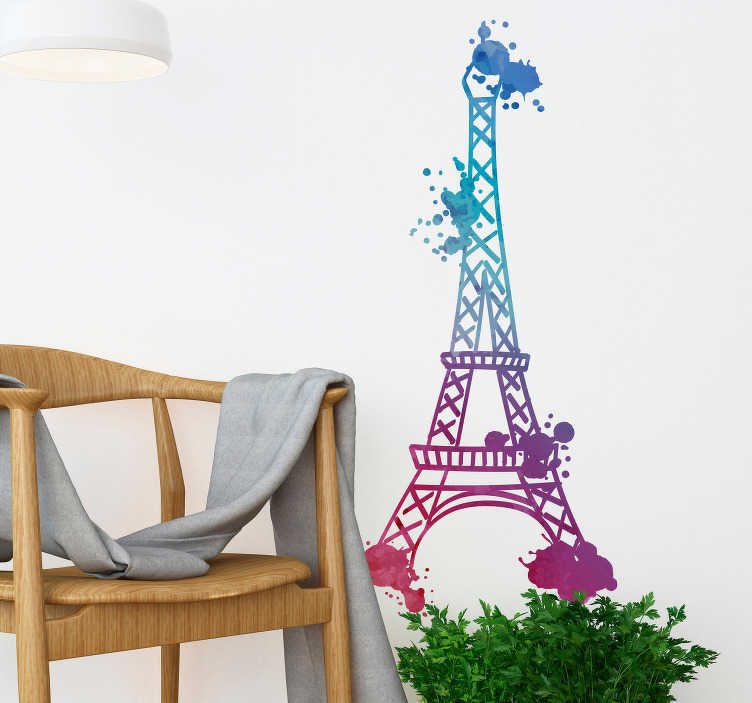 The watercolour touch will really ensure that this wall art sticker stands out from a very densely populated crowd of eiffel tower merchandise to catch the eye of all your visitors and passers by!